As you can see the event turned out to be nicer than we could have imagined, and we must give the biggest thanks to the Youth Team who are becoming better and better in planning for these types of activities - Laxman even held the most impressive speech about Nepali culture, without any notes! The "famous" brown cheese was quite popular, and to our big surprise it was even eaten up (the waffles may have helped). 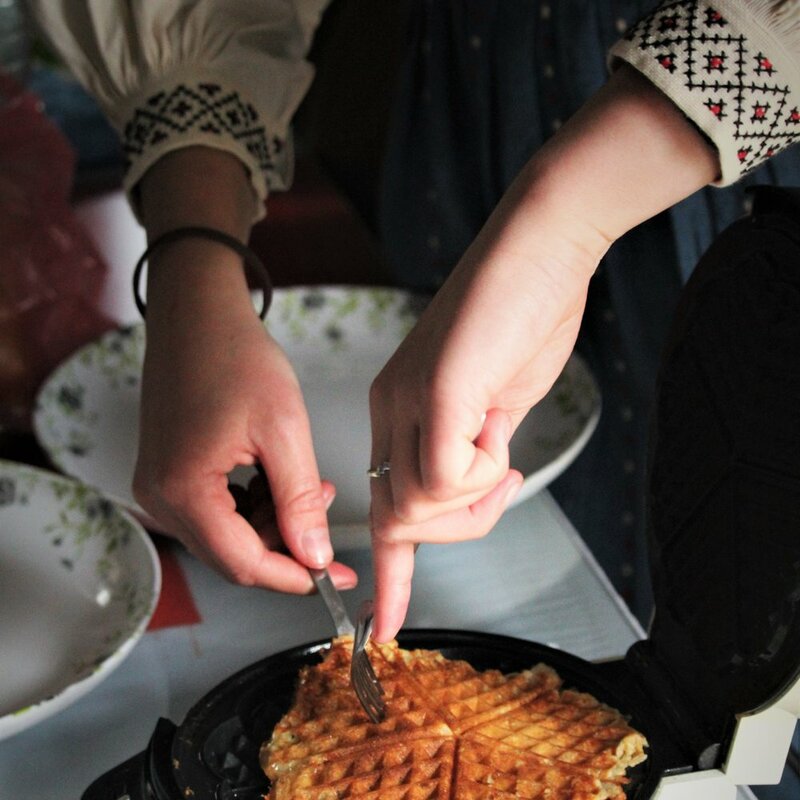 We even had our own "Norwegian cook", our local contact person and co-worker Dinesh Aryal, who baked and served waffles and Lerum solbærsaft (juice). From Nepali culture Samosa and Tarkarki (vegetable soup) was served by the Youth Team, and it was enjoyed by ALL! Lastly we want to give our thanks to all who helped out during this event, as it was far from only the Youth Delegates! Local youth volunteers, the Youth Team and even US Peace Corps volunteers helped with photographing, decorating - even dancing. The event would not be anywhere near as good without their contribution!